Renting equipment has never been easier! Vandalia Rental contacted USDP for help with their website and online catalog. They wanted the user to be able to access the equipment they were looking for quickly. We designed and implemented a new way to navigate through different options within the catalog and help their customer service department easily get in touch with potential clients. Easy-to-find equipment information so that the user can order what they need to get the job done right. Shopping cart summary helps the user ensure that they are ordering the correct equipment. On the job site? 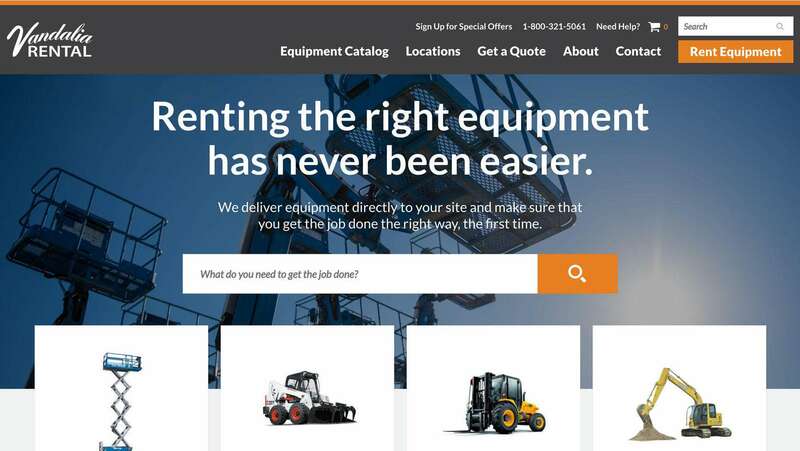 Responsive design helps contractors get the right equipment delivered directly to their locations.